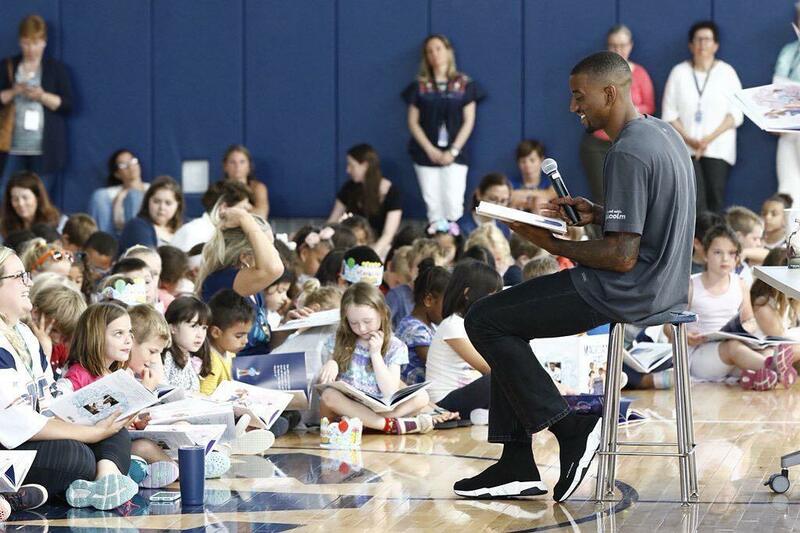 Imagine a gymnasium filled with 750 elementary and intermediate school students, heads bent over their new books, quietly following along while Patriot's wide receiver Malcolm Mitchell reads to them. That was the scene on Monday, June 18 when the Nantucket Book Foundation and the Share the Magic Foundation hosted a Reading Rally for grades K - 6. 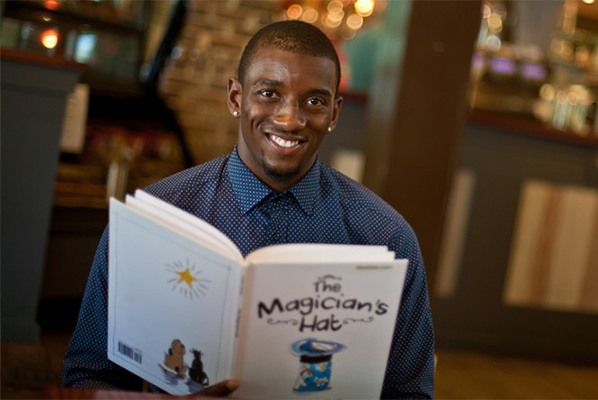 Thanks to a generous donation from the Tupancy-Harris Foundation, every student was given their own copy of Malcolm's book The Magician's Hat, with the message that through reading, they can accomplish anything. Malcolm was also the featured author at the final event of the Festival on Sunday night at the Whaling Museum. His audience was visibly moved by his account of how his inability to read well was impacting his academic success, and how his determination to be a better reader (even joining a women's book club!) resulted in a passion for literacy and his current outreach to students around the country. Malcolm's visit to our Festival and then to our schools is a perfect example of the work the Nantucket Book Foundation is doing on our island, to change lives through the power of words. Please support us by donating today!